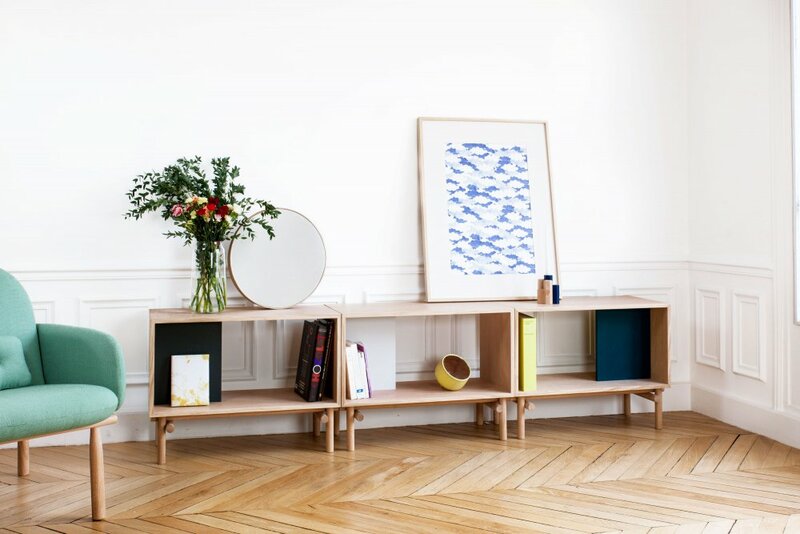 Edgar is an upgrade of our 4+1 wooden shelf. 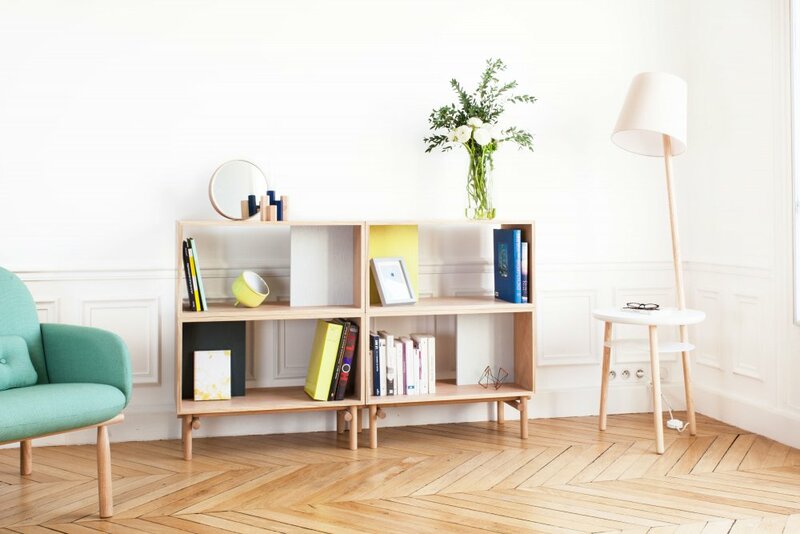 Thanks to its stackable storage units you can extend the shelf or mix it up. 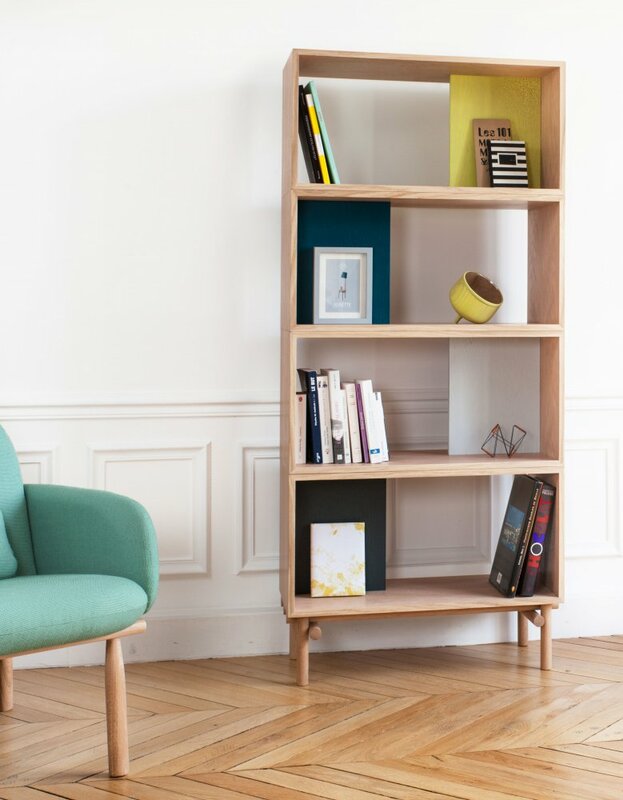 The clou: the distinctively colored dividers. They guarantee stability, serve as a bookend or highlight special books or magazines displayed in front of it. Yet best of all: You can hide your private objects behind it.